On Saturday, Smugglers' Notch Resort will kick off its annual brewfest in the Smugglers' Notch Meeting House. The 2014 fest marks the event's 20th anniversary and will take place over two weekends — one now, and one in March. It's one of Vermont's longest-running brew-hahas, founded in 1994, when the Green Mountains were home to just a handful of craft brewers. This year's fest features several Vermont breweries and cideries, including 14th Star Brewing, Citizen Cider, Fiddlehead Brewing, Zero Gravity Craft Brewery and Drop-In Brewing, among others, as well as several out-of-state brewers. Tickets are $20 and include eight samples along with live entertainment. Also, the mountain is now open for the season, with eight trails running as of press time. For more info go to smuggs.com. 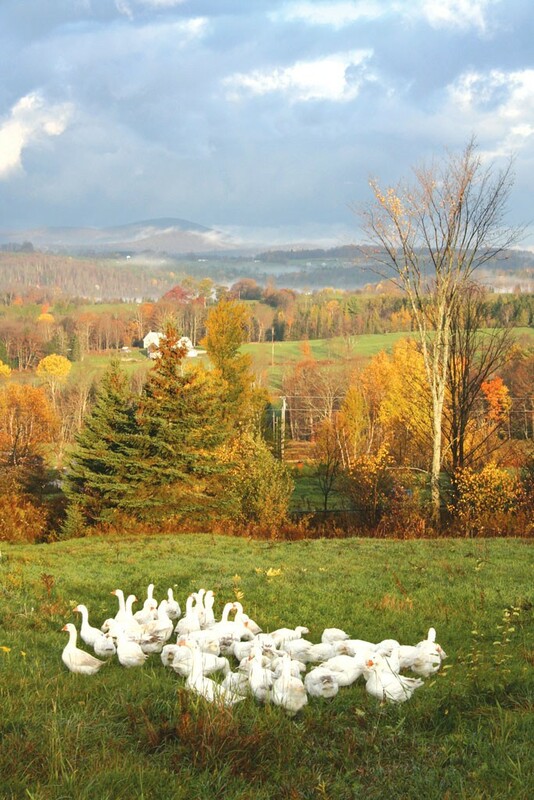 Applications for the Northeast Organic Farming Association of Vermont's Journey Farmer program are due on December 15. The two-year program is aimed at farmers in their first couple of years of development, explains technical assistance program administrator Sam Fuller. "The Journey Farmer program is intended to help people in a specific and critical stage in their development," he says. The first class of two farmers launched the program in 2011. Last year, more than 50 newbie farmers applied, and NOFA was able to fund the program for six farms. It's no surprise that the spots are hotly contested. Each participant is paired with an experienced farmer mentor, a much-needed lifeline in the early years of starting an agricultural business. Journey Farmers are also granted free admission into NOFA's summer workshop series and winter conference, along with a $500 education stipend that in the past has funded everything from welding classes to QuickBooks support. Successful applicants will have likely "gained experience through being raised on a farm or doing apprenticeships — people who have really committed to the farming profession and educating themselves, really thinking through their business," Fuller suggests. Last year's group included Cabot goose farm Gozzard City, Berlin cereal grain specialist Rogers Farmstead and Good Heart Farmstead, which raised Icelandic sheep in Worcester. Though those farms have uncommon focuses, Fuller says that's not a necessity to pass muster. "I would say, in a sense, anyone who's venturing out into farming at this time is doing innovative things to a certain degree," he explains.